In addition to iTronic, multi-function tool technology and fast servo-axes, “set-up in the gap” is one of the top themes for efficient edgebanding. “Set-up in the gap” enables you to run different machining processes at the same time in the edgebander. For example, the corner rounding unit or pivoting of the trimming unit can be intelligently switched on, without having to empty the machine for the set-up procedure. The new, intelligent user guidance allows an even more intuitive adjustment of all milling and scraping processes. At all times, the operator can identify which corrections are being made in which direction on a graphic display. The values for horizontal and vertical tool feed entered on the control unit are converted fully automatically to the actual axis values in the background. This makes sample workpieces a thing of the past. At HOLZ-HER we are currently installing more than 8,000 NC servo-axes of the latest generation every year. These axes ensure lightning fast changeover on your edgebander to a really wide range of your applications: with repetition accuracy, durability and high precision. 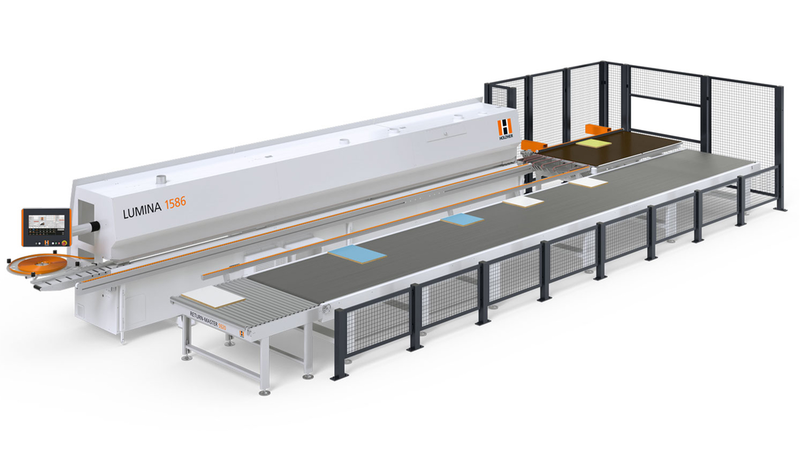 In combination with the intelligent iTronic package, you have a thoroughly smart edgebander as an efficient partner. The workpiece return system RETURN-MASTER 5920 is the perfect addition to your edge banding machine - for simplified handling and higher productivity.